We Are ESL – ESL has perfectly understood how much the human dimension matters! 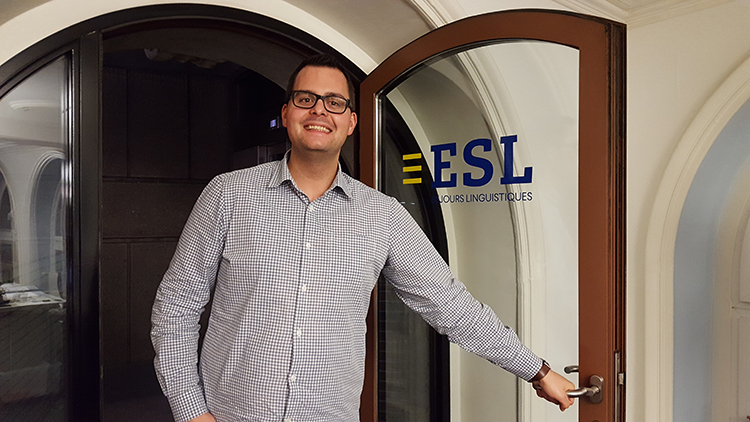 I was freshly back from a language travel at St Giles San Francisco when I stumbled upon a job offer stating that ESL Lausanne was looking for a Sales Trainee. Having booked my trip to the USA with ESL a few months earlier, I had a great impression of the company and couldn’t dream of a better workplace at the time, so I immediately applied for the job. Much to my surprise, I got a phone call a couple of days later, inviting me to an interview. After that, everything went so quickly that I was already working at my desk just a couple of weeks later! After working in Lausanne for 5 years as a Language Travel Consultant, waking up every morning with the same, great motivation to get to the office, I have been promoted to Office Manager Assistant, which is a fantastic reward and a solid proof that the company gives people great opportunities to develop their career. Every day, I get in contact with a lot of different people, each and everyone of them having their own specific needs and ideas in mind, and this is definitely a long-term guarantee that not a single day looks like the previous. My mission is to turn their project into reality and there is no greater reward than getting positive feedback upon their return, acknowledging the quality of our counselling and service.